I can still remember all the times I went on a job site and heard someone use a word I had never heard before. There is a unique language that gets used on a job site and by admitting you couldn’t speak it, well, you might as well go sit in the port-a-john until the meeting is over. Sure, there are plenty of colorful words and euphemisms that get used but that’s not what I’m talking about. It’s the regular every day – I’ve been here before words and references that will help you get along and validate your club card. I have included the ones that I think you are most likely to hear and use on your first trip on the job site. The good news is that you have probably heard them before……by the way, using the word ‘euphemism’ on site will also get you sent to the port-a-john until the meeting is over. Whip – Usually a note assigned to a junction box when an after-market electrical connection is needed where additional electrical cabling is requested. You can see on all kitchen appliances have an electrical whip (extra length of cable) to allow for connection to the j-box with the appliance still not in place, allowing the electrician room to work. 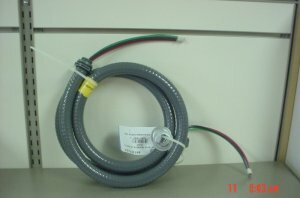 Pigtail – The electric cord that the electrician provides and installs on an appliance such as a garbage disposal, dishwasher, or range hood. 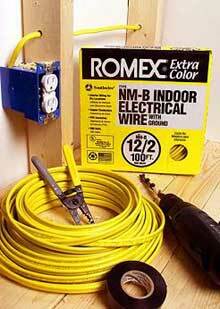 Romex – any type of non-metallic sheathed electrical cable or more simply, plastic coated electrical wiring. 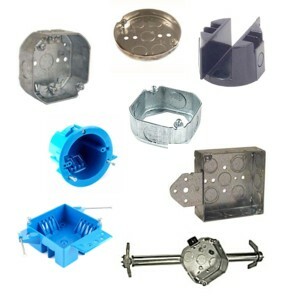 J-Box – stands for junction box. This is is a container for electrical connections, usually intended to conceal them from sight and deter tampering but allow future access to the connections within. 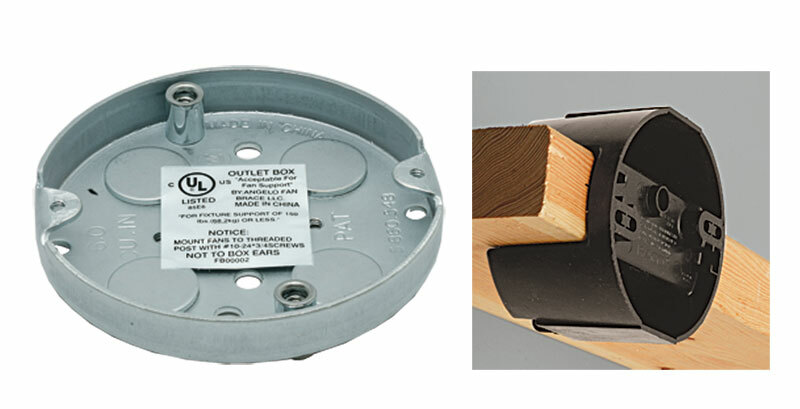 Pancake box – a special type of j-box that is used when the location of that junction box needs to fall in an exact location, like when installing lighting sconces or decorative ceiling fixtures. The pancake box is the same thickness as the finished sheet rock or designed to slide onto the stud as shown in the photo below. Roughback – this refers to the undressed side of a piece of veneer stone. If you have stone on the outside of your house, the side that is prepared for viewing (or dressed) faces out. The side that faces the wall is generally not prepared for viewing and is considered the “rough” side. 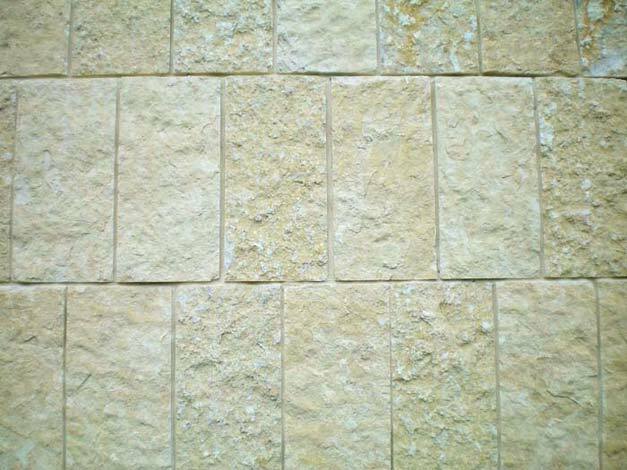 We frequently will call for the undressed side of limestone to face out in an effort increase the amount of variation in the appearance of the stone. Sister – When the face of one structural member is attached to the face on another in order to help transfer structural loading. 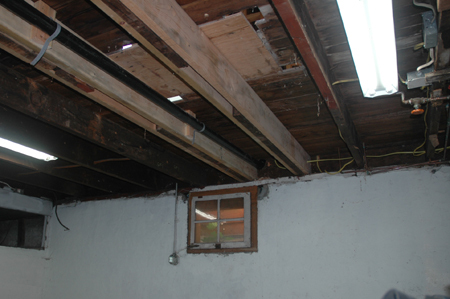 An example might be when a roof rafter is cracked and you attach another piece of framing directly to it – so now the broken piece has the structural stability it needs and it was not necessary to remove the damaged member. Top plate – Top horizontal member of a frame wall supporting ceiling joists, rafters, or other members. Joist – Wooden 2 X 8’s, 10’s, or 12’s that run parallel to one another and support a floor or ceiling, and supported in turn by larger beams, girders, or bearing walls. Girder – A large or principal beam of wood or steel used to support concentrated loads at isolated points along its length. 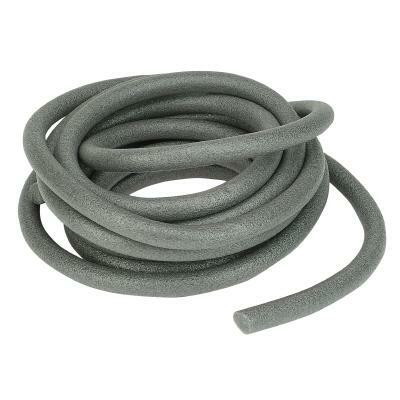 Backer Rod – a round foam rod used to fill joints between building materials. It is used to fill most of the void in a joint so caulking can be applied to fill the gap between materials completely to create air-tight and water-tight seal. Backer rods are not required but their use reduces the amount of caulk needed which can same money and reducing curing time (due to the thinner amount of caulk needing to fill the gap). Pooky – a generic word used for caulking or sealant but can also be used as a term of endearment towards diminutive pugilists. Parapet – A wall placed at the edge of a roof to prevent people from falling off. Scupper – An opening for drainage in a wall, curb or parapet. (2) The drain in a downspout or flat roof, usually connected to the downspout. C.O. – An abbreviation for “Certificate of Occupancy”. This certificate is issued by the local municipality and is required before anyone can occupy and live within the home. 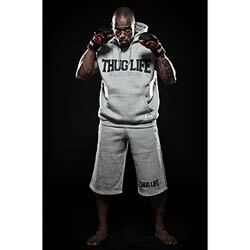 It is issued only after the local municipality has made all inspections and all monies and fees have been paid. 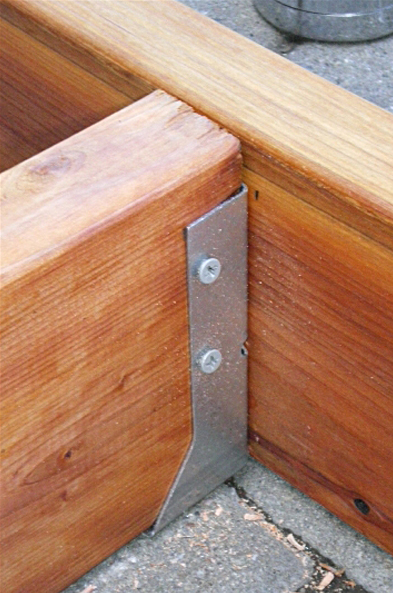 Glued Laminated Beam (Glulam) – A structural beam composed of wood lamination’s or lams. The lams are pressure bonded with adhesives to attain a typical thickness of 1 ½” – it looks like 5 or more 2 X 4’s are glued together. 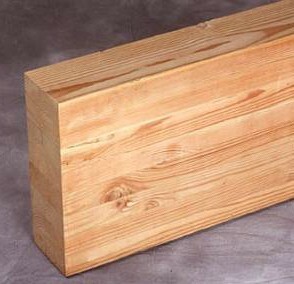 Microlam – A manufactured structural wood beam. It is constructed of pressure and adhesive bonded wood strands of wood. They have a higher strength rating than solid sawn lumber. 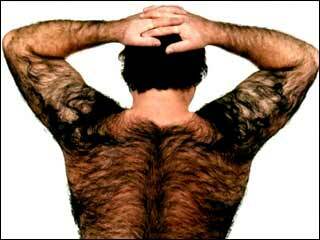 Normally comes in l ½” thickness’ and 9 ½”, 11 ½” and 14″ widths. LVL (Laminated Veneer Lumber) – an engineered wood product in the category of Structural Composite Lumber that uses multiple layers of thin wood assembled with adhesives. It is generally stronger, straighter and more uniform in size over milled lumber and is therefore less likely to warp, twist, bow or shrink due to its composite nature. Home run (electrical) – The electrical cable that carries power from the main circuit breaker panel to the first electrical box, plug, or switch in the circuit. Honey combs or Holidays – The appearance concrete makes when rocks in the concrete are visible and where there are void areas in the foundation wall, especially around concrete foundation windows. Sack mix – The amount of Portland cement in a cubic yard of concrete mix. 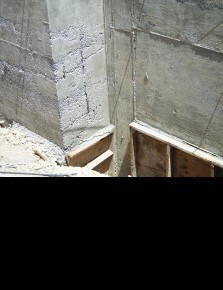 Generally, 5 or 6 sack is required in a foundation wall. Sewer tap – The physical connection point where the home’s sewer line connects to the main municipal sewer line. Sleeper – Usually, a wood member embedded in concrete, as in a floor, that serves to support and to fasten the subfloor or flooring. Spec home – Short for ‘speculative’. This is a house built before it is sold. The builder speculates that he can sell it at a profit prior to completing the house. Stick built – A house built without prefabricated parts. Also called conventional building and generally refers to a wooden framed house. TJI or TJ – Manufactured structural building component resembling the letter “I”. Used as floor joists and rafters. I-joists include two key parts: flanges and webs. The flange or from of the I joist may be made of laminated veneer lumber or dimensional lumber, usually formed into a 1 ½” width. The web or center of the I-joist is commonly made of plywood or oriented strand board (OSB). Large holes can be cut in the web to accommodate duct work and plumbing waste lines. I-joists are available in lengths up to 60” long. Toenailing – To drive a nail in at a slant. Method used to secure floor joists to the plate. Vapor barrier – A building product installed on exterior walls and ceilings under the drywall and on the warm side of the insulation. It is used to retard the movement of water vapor into walls and prevent condensation within them. Normally, polyethylene plastic sheeting is used. I hope this list keeps you out of the port-a-john (unless you need to use it).